Even if money doesn’t make the world go round, it is an important thing for kids to learn. It is an essential life skill. It can be super confusing, though. I am pretty sure every child would pick three 1$ bills over a $5 bill solely on the fact that the quantity of bills is higher with the 3 $1. That is until they learn and understand quality vs. quantity of the money. A money unit study is the perfect way to explore the value of money at any skill level! 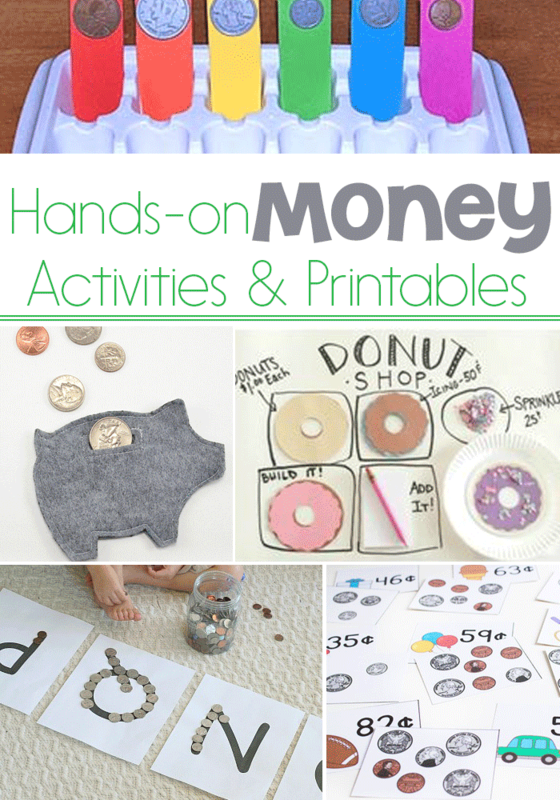 If you are planning a money unit, or using money as a way to practice math, these are some fun ideas. Included are literacy, math, art & crafts, sensory and science. 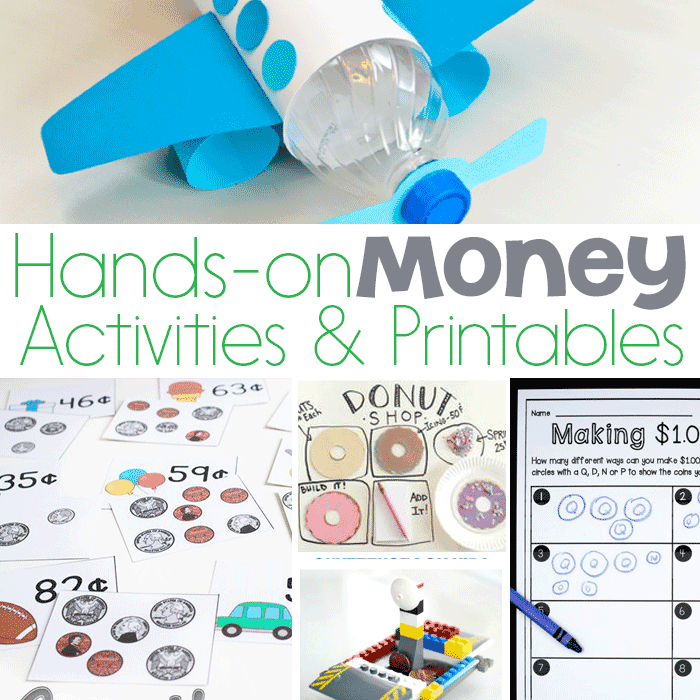 Kids are bound to be interested in money while doing these activities.